Things don’t feel very Easter-y around here. It’s not a holiday I typically decorate for and with our recent snowstorms, it hasn’t quite felt like spring around these parts. So I decided I would craft myself into a spring mood. Nothing says spring rebirth like styrofoam eggs , so that’s what I started with. 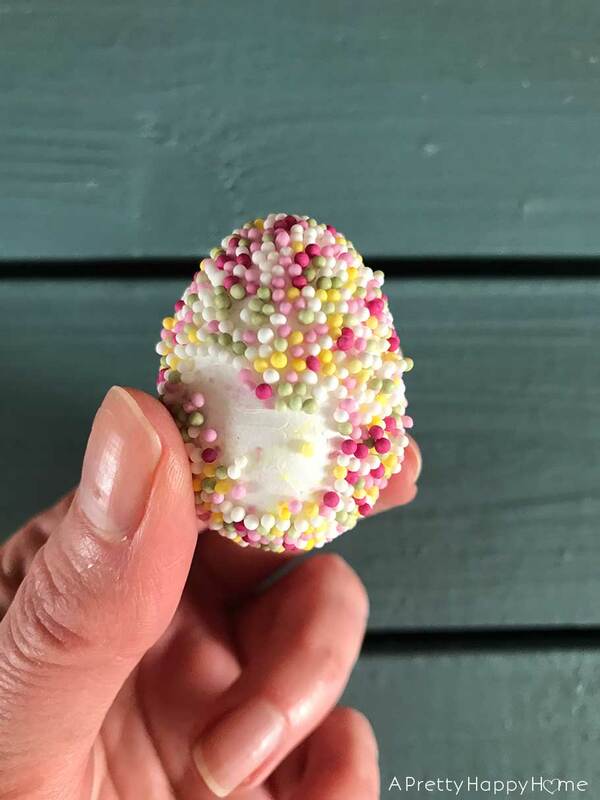 My first attempt at decorating my fake eggs was a major flop. It’s also a reminder of why I try to avoid Pinterest. My second attempt was much more successful. 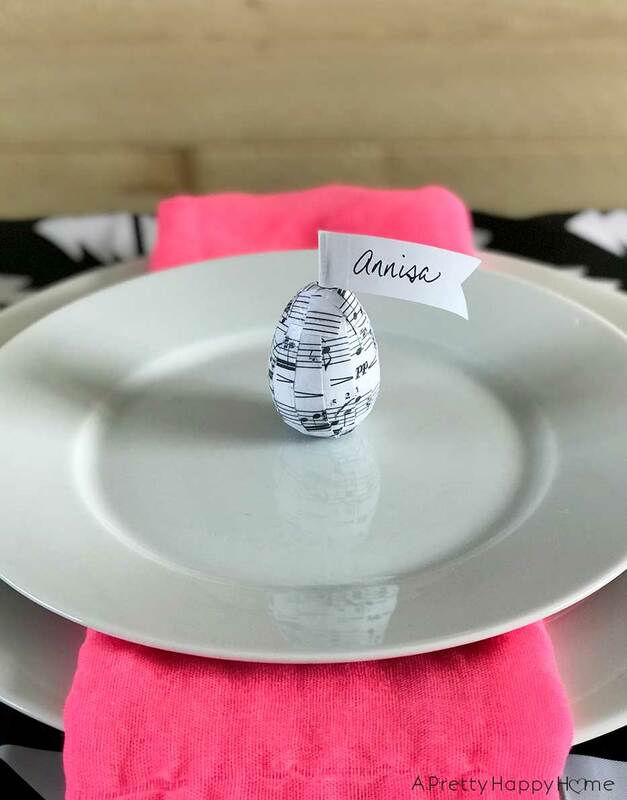 I made Sheet Music Easter Eggs, which I’m not sure are actually spring-looking, but they are more my style. 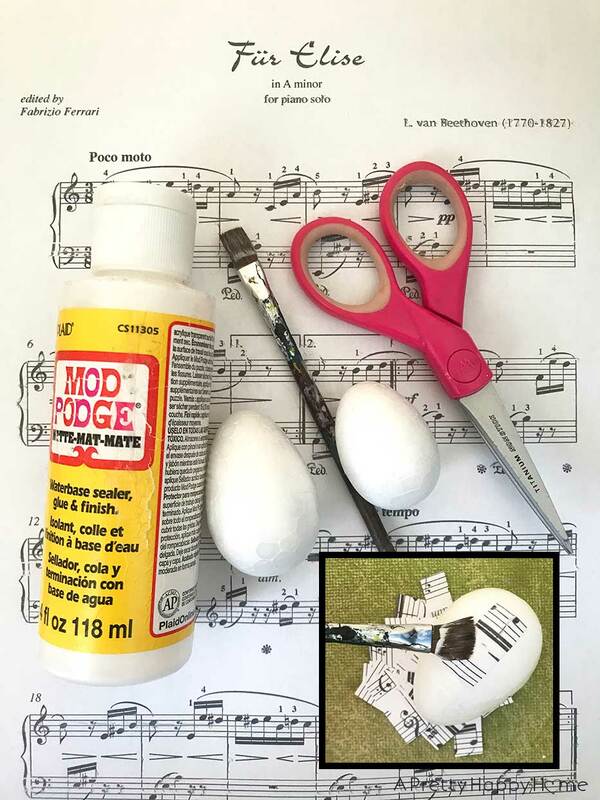 Making Sheet Music Easter Eggs is easy and inexpensive, but a wee bit time consuming. 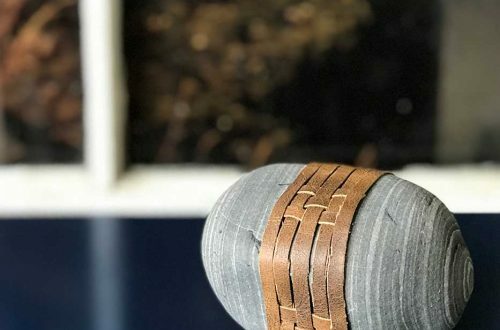 In other words, the perfect craft to make during a Netflix binge session. All you do is print out a free page (or more) of sheet music. A quick internet search will lead to hundreds of free options. I suppose you could use sheet music you already own, but I couldn’t bear to cut up any of my babies actual sheet music. Then cut the sheet music into small strips. You’ll have to determine what length and width to the cut the strips depending on the size of your styrofoam eggs . Use a paint brush and Mod Podge to adhere the strips to the egg. You’ll end up overlapping the strips to guarantee full coverage. Make sure you apply the Mod Podge on top of the strips too. That’s going to be the sealant on your work. I used the one with a matte finish. I found out the hard way it was easiest to work in sections. That way, I could let one side of the egg dry before working on the next section. I had originally intended to put the eggs in a bowl and call it good. Then I realized a few of the eggs – due to how the strips of sheet music overlapped – could actually stand up vertically. That’s when the lightbulb came on. It happens occasionally. 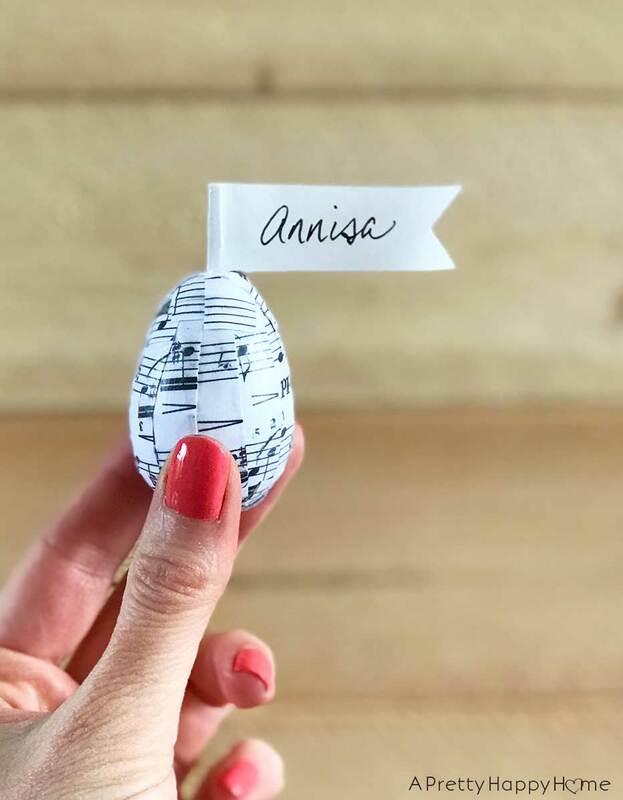 These Sheet Music Easter Eggs could also double as place cards for Easter Dinner! And even if they are lying on their side, it still looks fine for this purpose! If sheet music isn’t your thing, this craft would be super cute with book pages too. All in all, this was the most productive Netflix crafting session I’ve had in awhile. It felt good. And I’m happy to report it is feeling much more spring-like around this place now! Thanks for reading! Here are some other crafty posts you might enjoy!